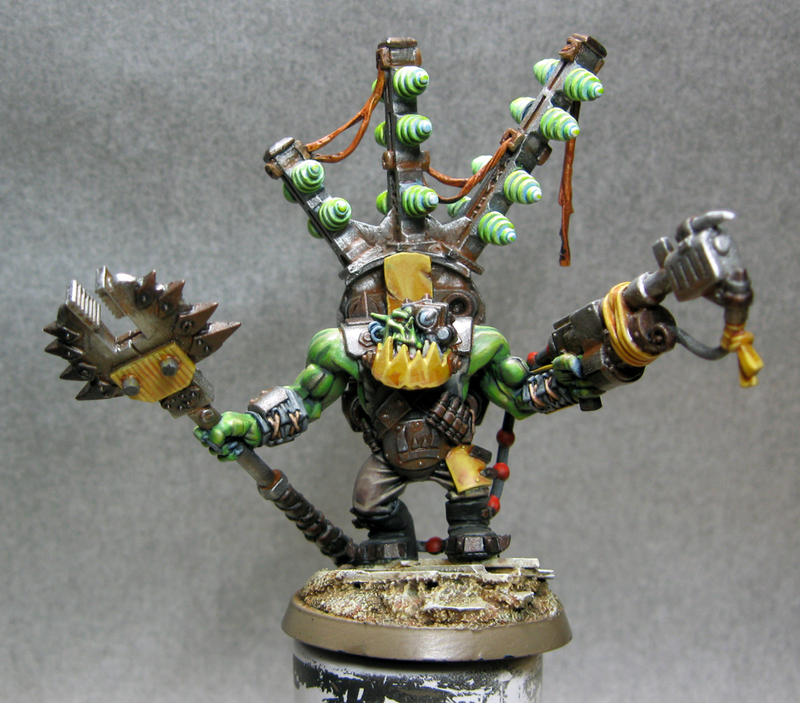 Eventually, I'm going to try my hand at OSL, making the KFF glow with Orkish light. The KFF power pack will glow as well. His burna is removable, leaving him with just a power switch in hand. 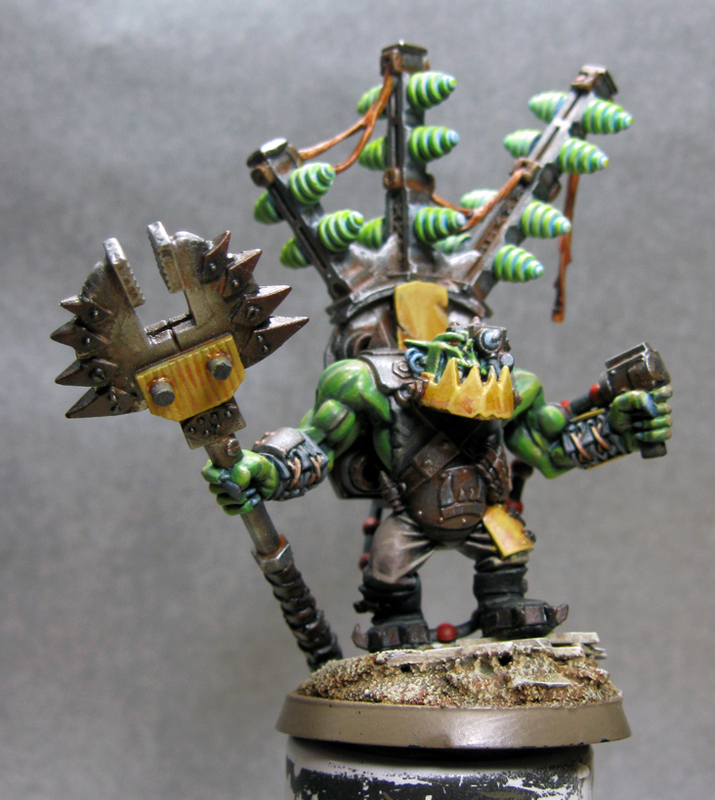 There are times when I'd want to run him with a power klaw. 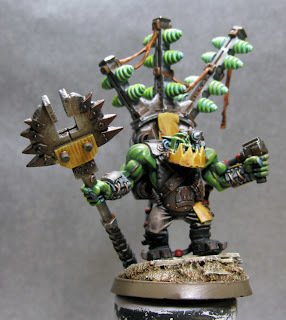 I'm hoping that the huge mek's tool, a claw itself, can be seen as a PK in those situations (my list would clearly call it out). I'm looking for easy but effective OSL techniques, so if anybody knows about that, I'd appreciate a link to the info. 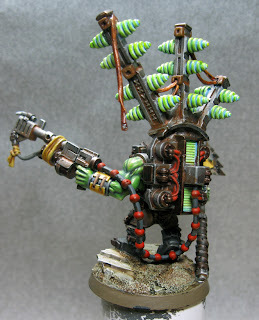 This mek was built here (part 1) and here (part 2). looking Great. I can't wait to see him completely finished. 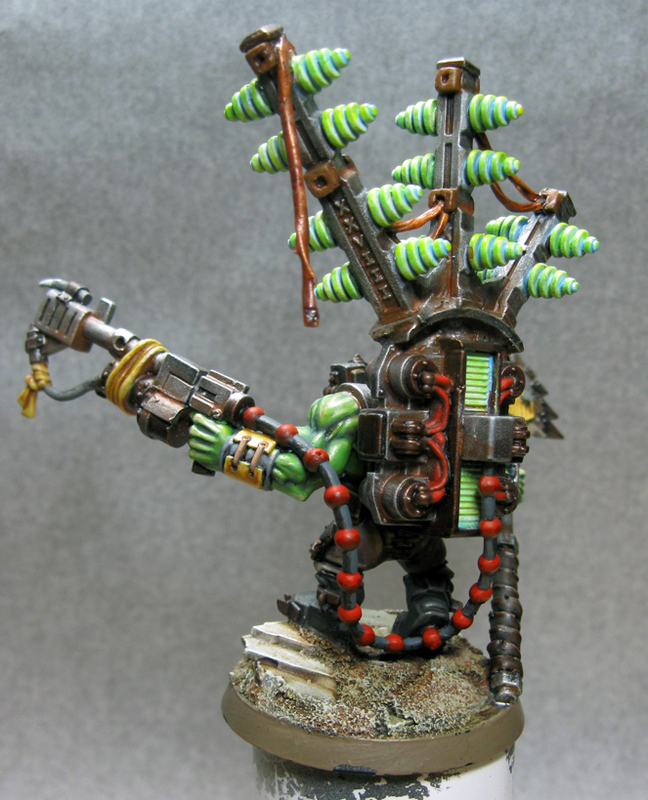 I just saw this conversion over in the Bitzbarn 40k competition thread. Very nice work man. I love the green glowing effects on all the generator areas. Wow. This guy is getting sick, Simon.